The human body is a miracle of nature, with numerous complex processes being performed inside it all the time. Beyond its complex organs and processes, it houses trillions of bacteria which are collectively referred to as gut microbiome. Even more amazing is their anatomy, with a majority of them being good bacteria that promote digestion, strengthen immunity and even keep you in a positive mood. There are bad ones too but their proportion is significantly smaller. The composition of a healthy microbiome depends on an optimal balance between the good and bad bacteria. An imbalance can cause a series of health issues. Therefore, you need to ensure that you take good care of your gut health. If you want to know how to keep your gut healthy, here are a few amazing secrets to it. The composition of your microbiome is largely determined by what you eat, which is the reason that you should prioritize eating healthy. Eat a diet high in whole foods and plant-based fiber. Avoiding processed and high-sugar foods is equally important. Besides eating the right kind of foods, a time the meals well. Intermittent fasting is considered good for the microbiome as it gives the good bacteria time off so that they can multiply and grow stronger. Although eating healthy is essential, supplementing your diet with healthy probiotics is equally vital. Nothing works better than introducing your gut to beneficial microbes that are present in these foods and supplements. A daily probiotic formula can make all the difference to your gut health as it can replenish all that you lose due to the effects of a modern lifestyle. While eating well is the secret to a healthy gut, so is keeping it safe from toxins. Unfortunately, toxins are everywhere, in the food you eat, water you drink and air you breathe. Even the household cleaners are laden with harmful chemicals and toxins. Your best bet to save your microbiome from toxins is to go organic with the food you eat and the things you use at home. Drink filtered water and avoid environmental toxins as well. 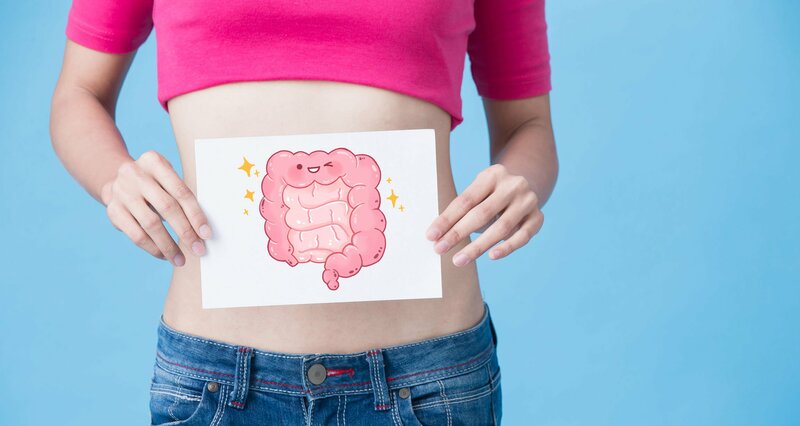 Taking periodic gut cleanses is also recommended to keep the microbiome in an optimal condition. A cleanse essentially clears your system of parasites, toxins and other harmful substances that get lodged therein over time. Parasites, in particular, are harmful as they are capable of eating away healthy bacteria. You can opt for a parasite cleanse with essential oils to get rid of them naturally. Medications such as antibiotics, steroids, NSAIDs, and antacids can harm the good gut flora to a significant extent. Antibiotics, in particular, can simply wipe off the good bacteria while killing the bad ones. The best approach would be to avoid medicines and antibiotics unless absolutely necessary. Also, supplement your diet with probiotics if you are taking medicines. Scientific studies indicate that people who are physically active have healthier microbiome as compared to those leading a sedentary lifestyle. So it becomes imperative to have a good exercise routine if you want the good guys in your intestine to be healthy and thriving. Take morning walks, join a gym or stick to the good old yoga, whatever makes you feel good! Taking measures for boosting the good bacteria in your gut is helpful but you should also take steps to build your immunity. Keeping squeaky clean is apparently good but you should get dirty once in a while to strengthen your gut. Exposure to germs trains your immune system to get stronger and curb infections in the long run. Stick to water and natural soap for cleaning your hands. Spend time outdoors and get your hands dirty with activities like gardening, cleaning and washing dishes. Stress is not called a silent killer because of the wrong reasons. Surprisingly, it can be detrimental to the good microbes that reside in your body. It makes the gut permeable to the unwanted bacteria and toxins as they become more active when coupled with stress. So it is best to stay stress-free and take things easy. Practicing mindfulness helps and so do meditation and deep breathing exercises. These are easy secrets that can be helpful for maintaining plentiful colonies of beneficial bacteria inside your gut. These do not spell much work but the benefits that they can bring are most amazing. The best thing is that it is extremely easy to make them a part of your lifestyle and retain them as habits for a lifetime.